Out of all the foodie adventures I have entailed, I super-duper highly recommend this one; you will see why below. 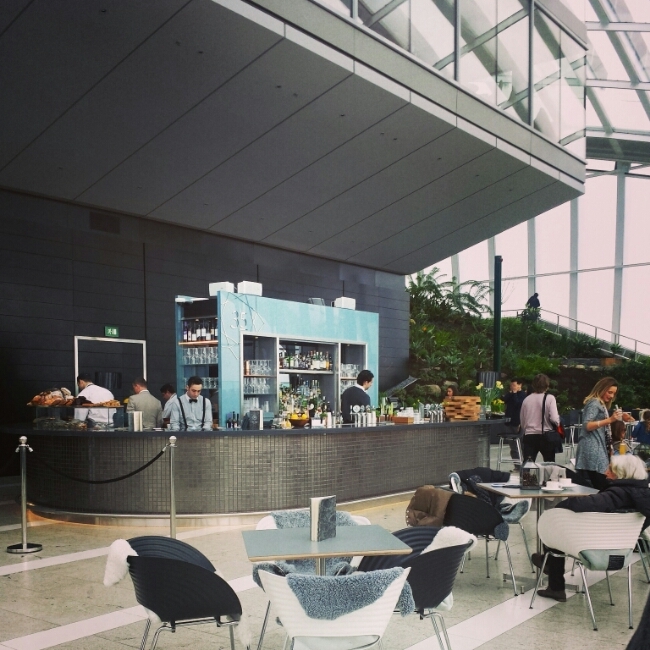 So the #CoffeeConquest brings me to Sky Garden, which sits on the 35th floor of the famous walkie talkie building on Fenchurch Street. 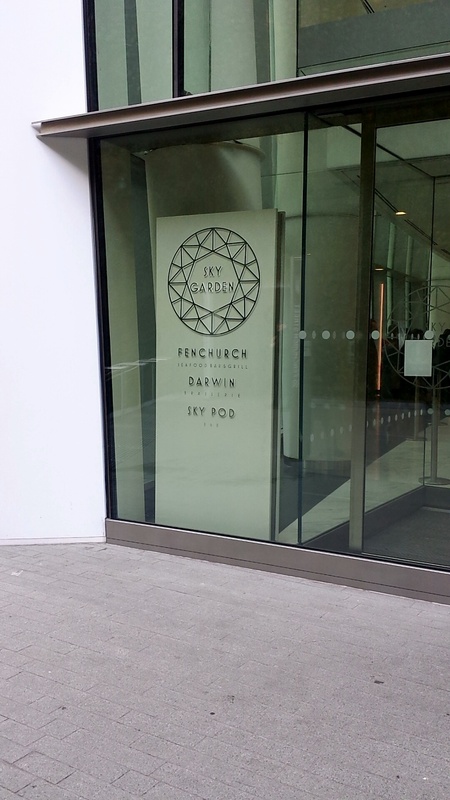 After passing security checks!, the super-fast lift will bring you into what I can only describe to you as a “James Bond” style entrance when you arrive at the door of Sky Garden. You will be blown away for sure! The view is just immense, yes I dare say it, Sky Garden beats the view from Aqua Bar in The Shard. 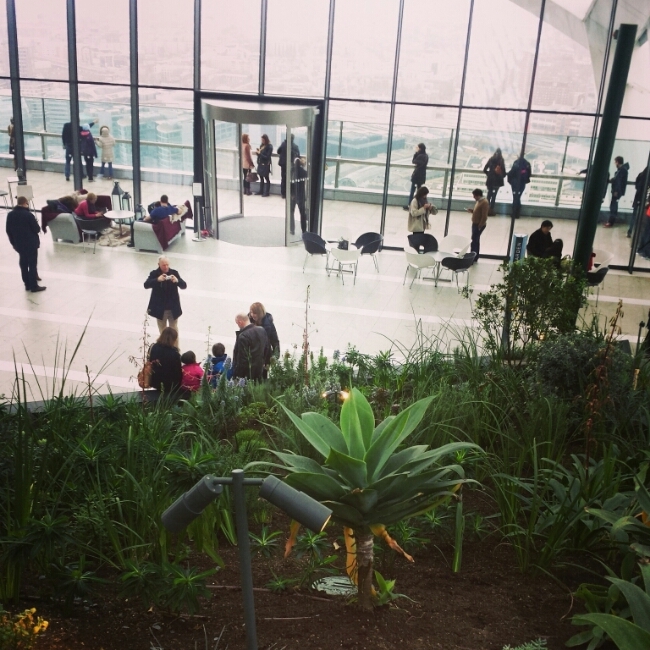 Most possibly because the central view from Sky Garden is The Shard building. Ahem… anyways this could turn into a viscous cycle. I got there at 10.30am for coffee, however a variety of pastries and sweet treats are available there to sweeten the tooth. Unfortunately I had missed out on this as I had brunch to follow straight after. So the coffee; the standard cappuccino was selected and indeed at a reasonable price of around £2.60. A bargain considering the location! The beverage was a bit thick, nice layer of froth and had almost the perfect of milk to expresso ratio. 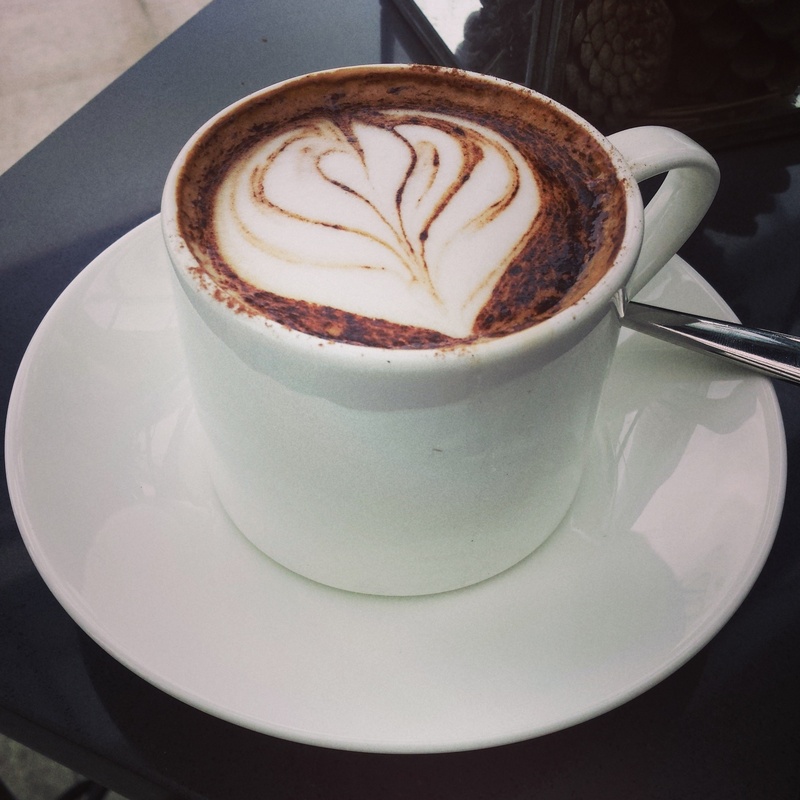 It was a decent cappuccino, not too strong and bitter as for the aroma. In best words it is fairs better than cappuccino from a coffee chain store. I admired the cup and saucer it was served in with the lovely leaf coffee artwork as a finishing touch. 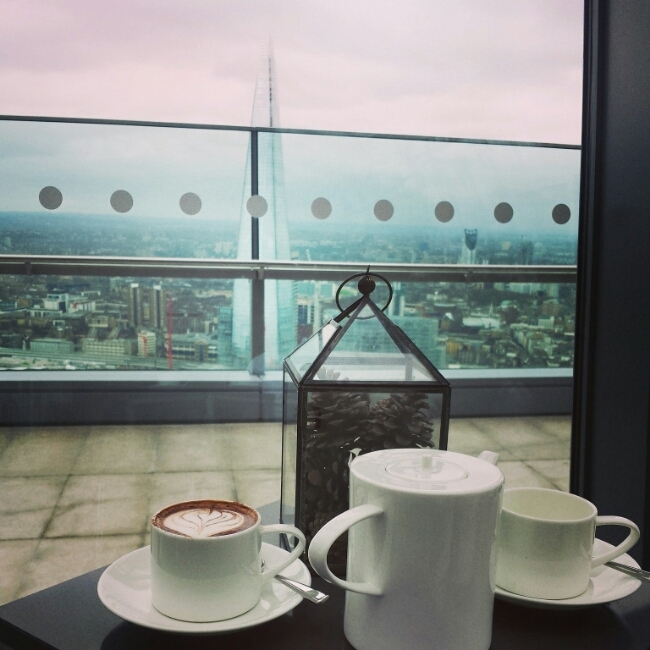 The atomsphere and venue is one of the best in London for drinking coffee, that’s for sure! If you manage to get a front window seat, you are in for treat as the best view is from there. 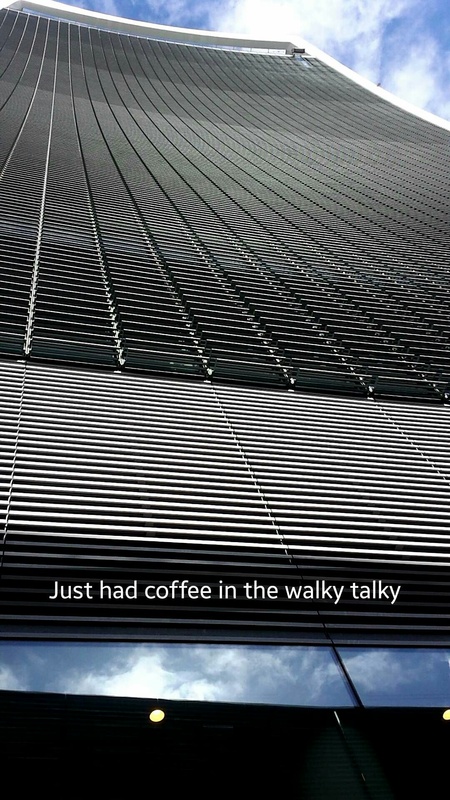 If you don’t, panic not as there is an outside balcony and whole floor to explore around. Let’s not forget, there is also goregous greenery indoors to view too. 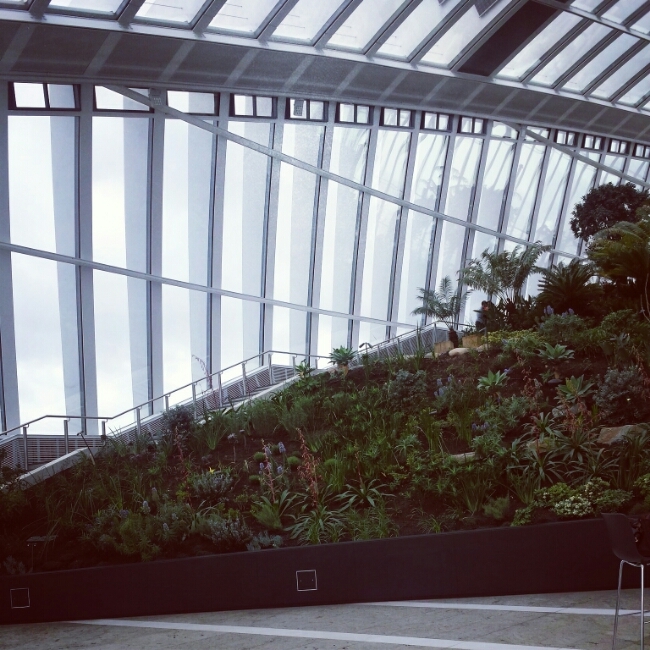 Let us know your thoughts about Sky Garden. Tweet Us @LondonKiLadki and hashtag #CoffeeConquest.